I had made a pair of trousers from this lovely thick woven fabric, I have no idea what it is made of. I had a strip left over, and decided it would make a lovely mini skirt which would somehow be nice and tight at the waist and full at the hem. 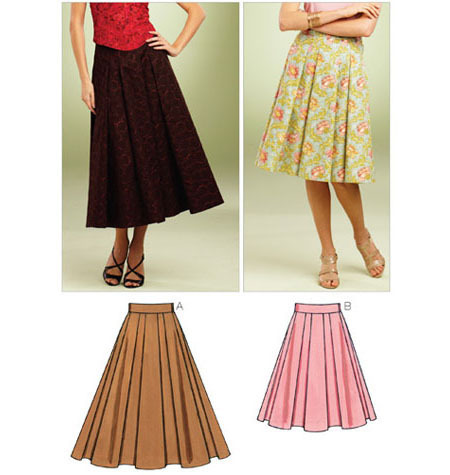 At first I thought a tulip skirt and went onto Pinterest to get some ideas. But then a whole world of pleats opened up, and weeks were spent on trying to find the best style that would use the most fabric – couldn’t bear to waste any! Eventually I decided to just ‘try something’ which was of course a failure because I cut the back off the fabric in line with half of my waist measurement, forgetting completely about my hips and bottom! So – just not knowing where to start I decided to cheat a little and use a pattern for a base for fitting and used McCalls M3830 which saved a lot of heartache. I made the back as per the pattern except used an exposed zip and various tutorials on youtube (this one was very good) to get me through the hours that took! (and I had to do 2 attempts). With the rest of the fabric, I folded in half and pinned the pattern to one of the non-folded edges and cut around the outside only, leaving a long straight strip in the middle, to create pleats. After much measuring and faffing I sewed the tops of the pleats and released the pins, then the pleats didn’t hang straight so I sewed the tops down further down the pleats which worked better. Waistband took ages – the McCalls pattern doesn’t have one, but I wanted one. I had been referring to Casey Brown’s blog which had excellent instructions for waistbands, but that seems to have gone offline now or something so I used the instructions from Kwik Sew K3852 which I had made recently and was pleased with. As the zip is at the back I created extra length on the back right side of the waistband to underlap and am going to sew a button on and a buttonhole just to the left above the zip. I’m so new to this that I seem to hit a hurdle at every turn if I’m not working directly from a pattern. I am sure these things get easier with time but it’s certainly a challenge. 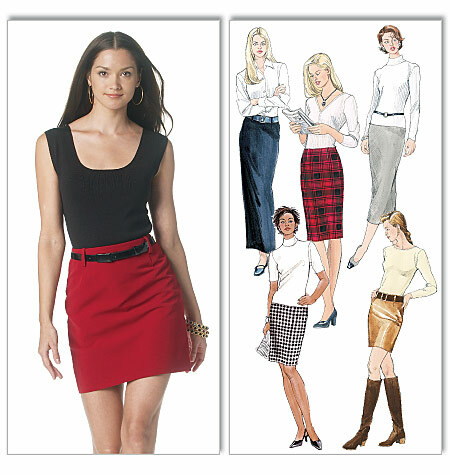 Mostly because now the skirt is too big – as every skirt I have made turns out to be – why? So next I will need to do some serious unpicking and re-folding and re-sewing, and is the skirt actually that nice in the end? → What’s the point of this?